About 10 years ago, Peter and Kate Schweitzer moved to Portland, Oregon, from California, eventually settling into a two-story home near friends in the Lents neighborhood. The bonus was an attached in-law studio that was a completely blank slate, where they envisioned their frequent out-of-town guests could stay. "We knew that we would be tearing everything out and starting over as much as we could." 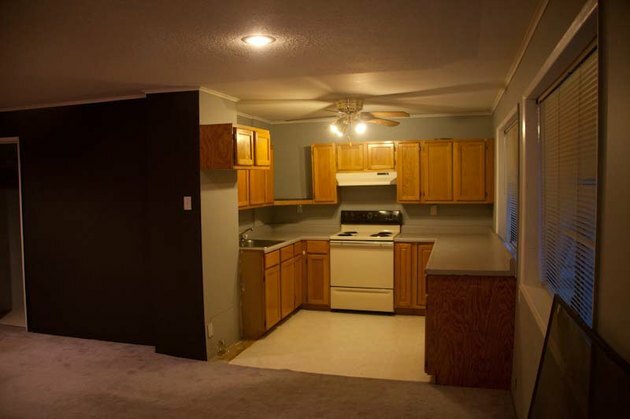 Out went the thick, dark carpet, the outdated kitchen, and the harsh paint colors. It was time to bring their sensibility to this project. "As artists, we both really value a calm and reflective environment, so we pictured somewhere that provided mental space to decompress and become inspired," says Peter. With the carpets out, in went pinewood flooring made from 1-by-6-foot boards from Home Depot. The old single-pane windows were swapped out for double paned found at the Rebuilding Center, a local second-hand building material store in Portland. The kitchen was split in half to make room for a bathroom that didn't exist. 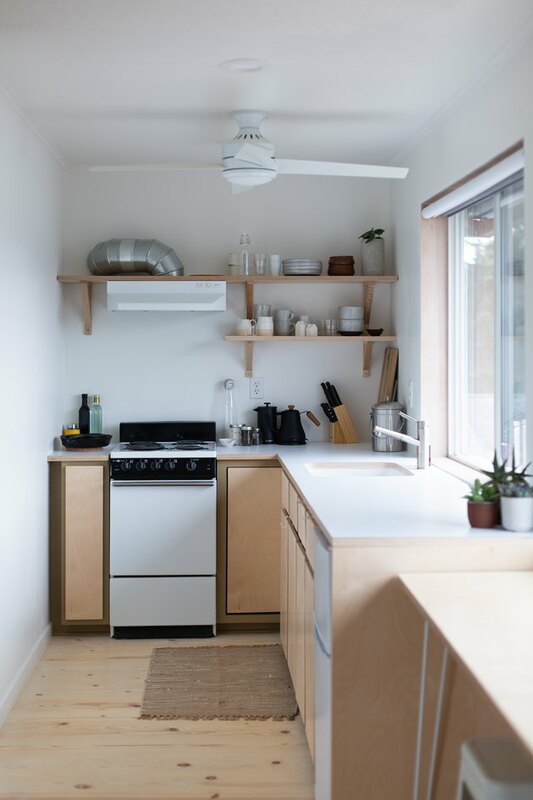 Upper cabinets were torn out and replaced with shelves using IKEA brackets and 1-inch Baltic birch plywood from Crosscut Hardwoods. 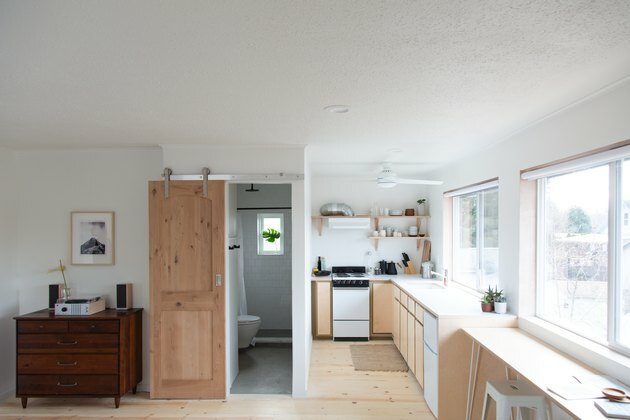 "We were originally going to replace the kitchen cabinets entirely and start over fresh, but after calculating how much more it would add to the budget, we decided we wanted to take on the challenge of reworking what was already there." The remaining cabinet doors were sanded down and painted. 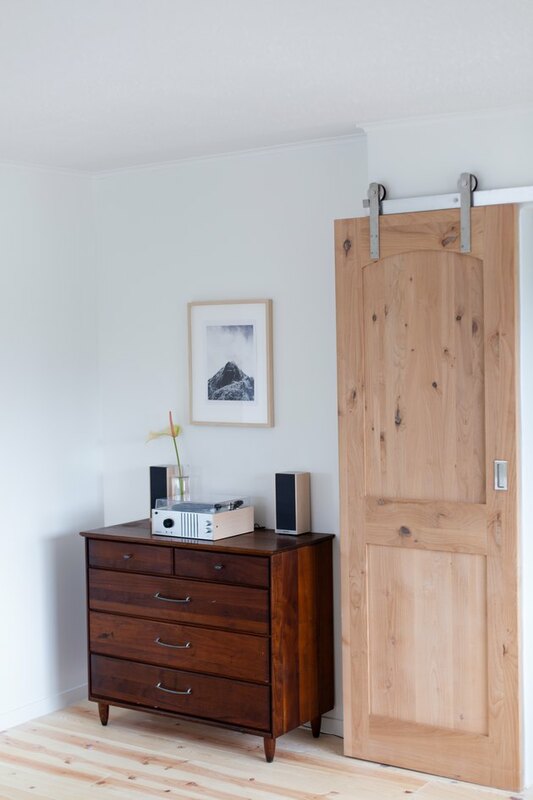 New cabinet door fronts were made out of the same Baltic birch plywood as the shelves. 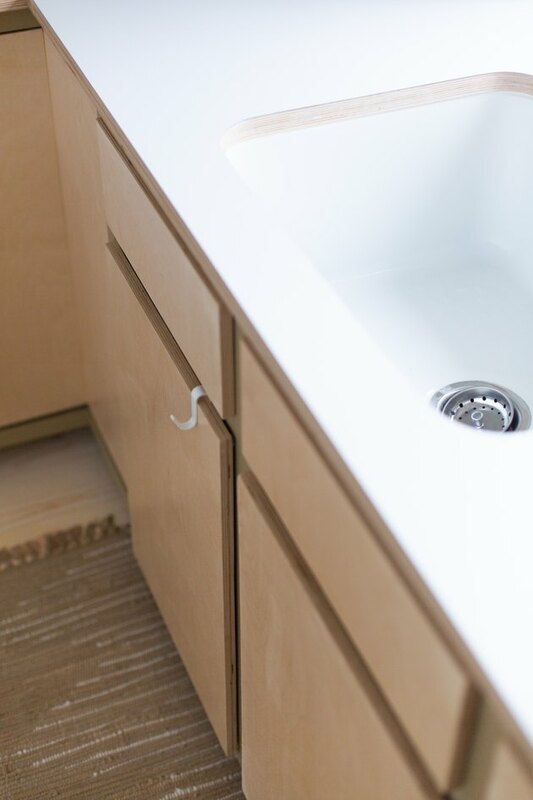 The Schweitzers couldn't find an affordable prefabricated option for the countertops they liked, so they used the 1-inch Baltic birch plywood and added a laminate sheet on top. 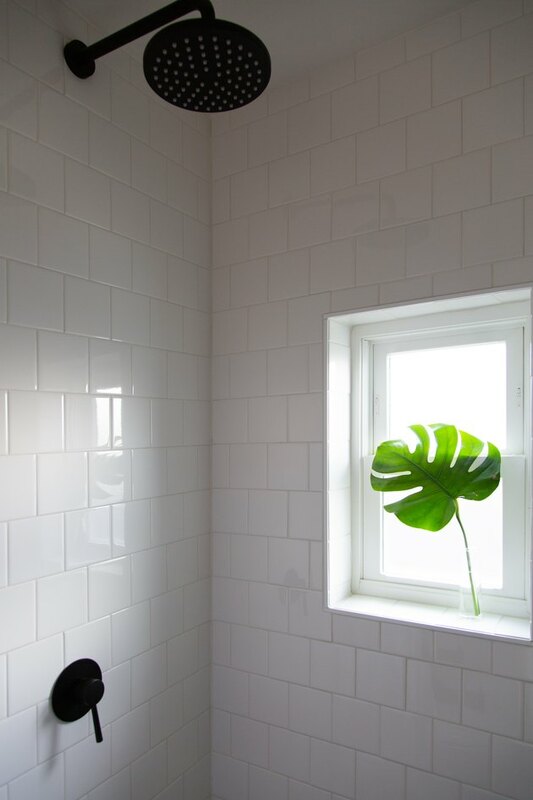 Much-needed natural light was brought into the bathroom by adding a window, plus they installed a floor-to-ceiling tile shower. 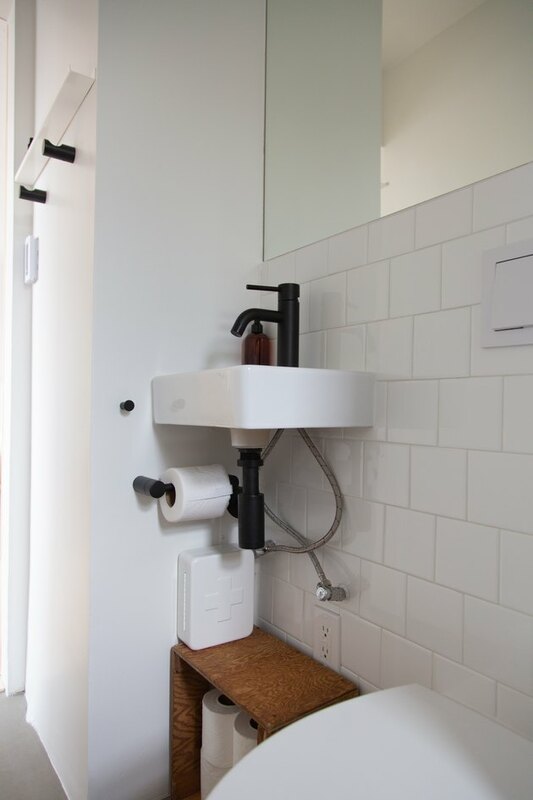 "Having a shower head that is too low is always so annoying as a tall person, so we installed a rainfall-style shower head as high as we could, basically at ceiling height." A large mirror from IKEA was recessed into the tile, making the space feel almost twice as big. 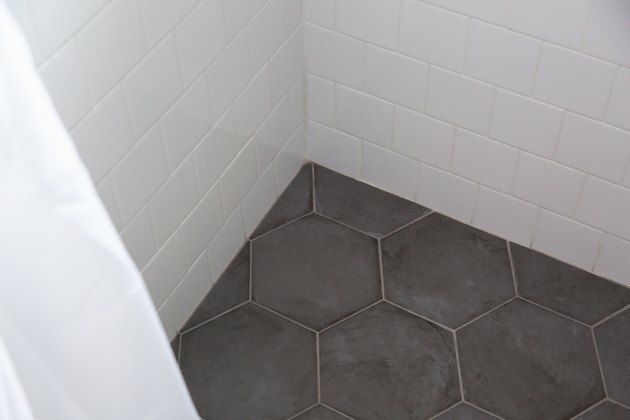 They purchased a heating kit on Amazon, and along with poured self-leveling concrete for the floor, the bathroom was complete. "Now that it's done, we're surprised how the floor actually keeps the whole studio pretty warm on its own." For the threshold between the shower and bathroom floor, they ended up finding a marble contractor on Craigslist who had a free scrap pile from which they could pull. They picked a few different pieces, bought a diamond blade for their circular saw, and cut it down to size. "It turned out better than we expected and didn't cost us much at all." 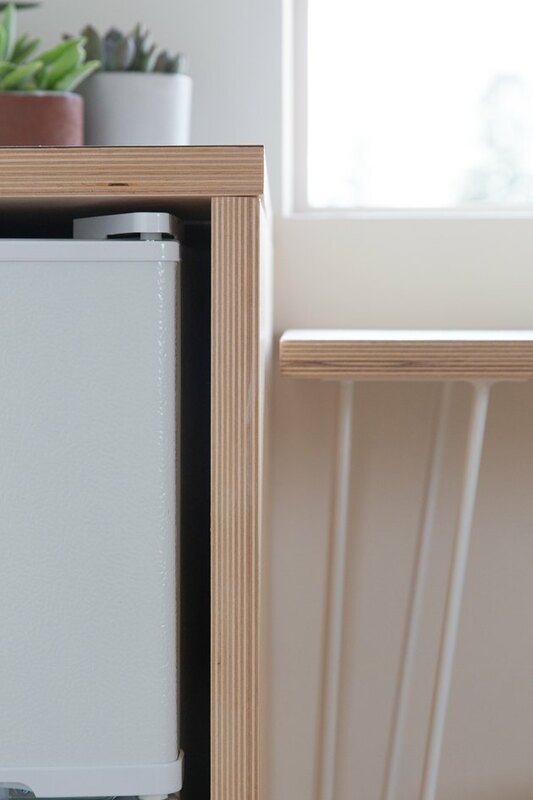 Deciding on plywood for the kitchen shelves and doors sparked an idea to go with wood as one of the main design elements. 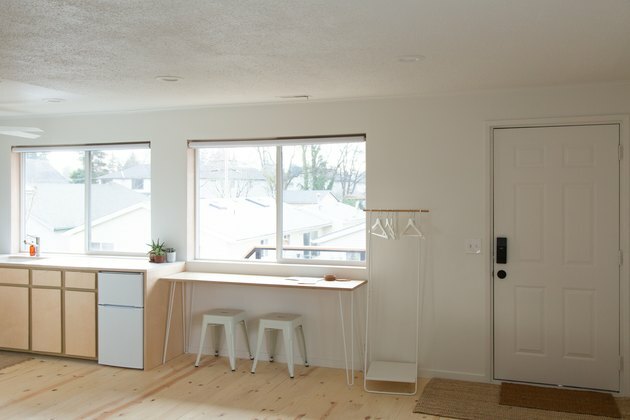 Much of the design came out of reusing the same materials: leftover plywood from the kitchen counters became the desk/table; the same plywood was used to wrap a plain metal bed frame. A midcentury dresser bought at a thrift store for $30 a few years ago had been sitting in their attic waiting to be used. A natural wood-looking frame from IKEA features a favorite print of a Polaroid photo from their last trip to Norway. After completing nearly all the work themselves, they are thrilled with the results. The bathroom is a definite favorite. "It feels like an oasis. The light is really nice, and the heated floors feel like a luxury, and we love the custom marble step that we put in for a little bit of color and added texture." The toilet in the bathroom was the biggest splurge of the project. "The tank is hidden in the wall, allowing it to take up much less space and give it a much more minimal look." 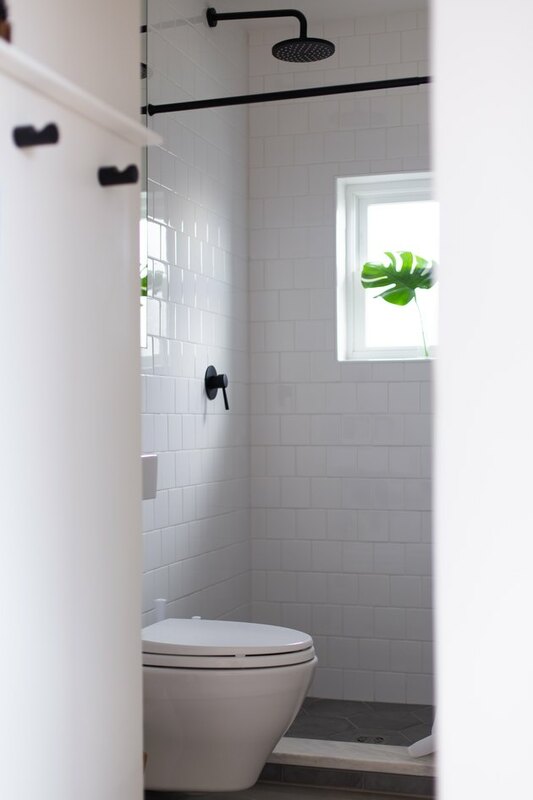 A standard household toilet usually goes for around $100, so the $800 price tag made it the most expensive single item in the remodel. Bright and clean with a Scandinavian vibe, they wanted to make a studio that was reflective of their love for calm, beautiful spaces. 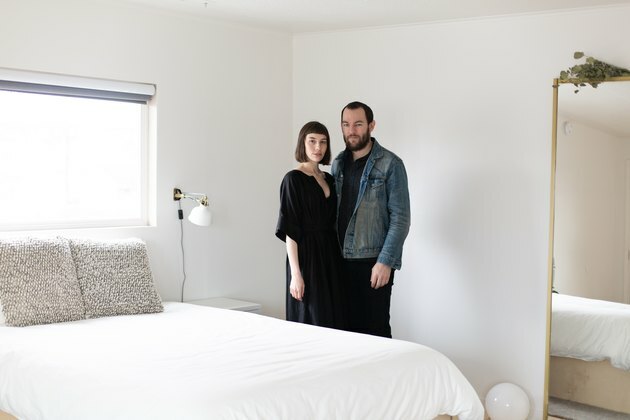 Peter and Kate think anyone who comes to stay will feel welcome and inspired. "City life and travel in general can feel so overwhelming at times. It was really important to us to make a space that felt like a haven from the busier elements in life." Favorite piece of design or architecture: "The mix of beautiful, modern homes, midcentury, and even hundred-year-old farmhouses that you can find just by driving through almost any neighborhood in Portland is one of the things that we love most about this city. There is so much personality to be found around almost every corner and as photographers it's one of our favorite things to just walk or drive around a random neighborhood taking photos and noticing all the little details that stand out." 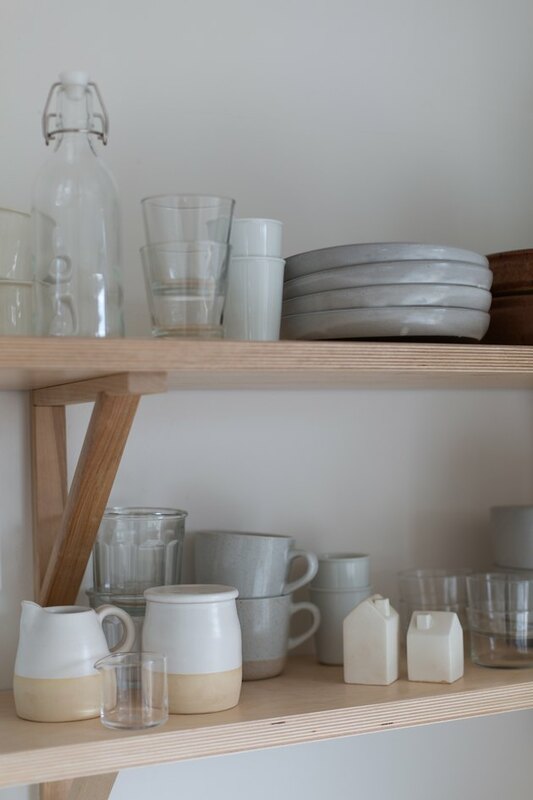 Thrift store finds, antiques, or flea markets: "There are so many amazing shops in Portland, but we love how great the selection is at Goodwill, especially for larger vintage pieces like our dresser." Farmers market: The PSU Farmers market is the largest and most consistent in Portland, but we also love the Lent's and Montavilla farmers markets if we want to stick closer to home. Happy hour: Kachka — "Delicious drinks and amazing Russian food. They have pelmeni dumplings that are to die for, their sipping vodkas are amazing, and they have the best Moscow mule you will find anywhere." Cheap and cheerful restaurant: Noraneko — "Our favorite ramen shop." Place to experience art and culture: "Both the Chinese and the Japanese gardens in downtown Portland are our favorite. We love being able to visit them in any season for a little bit of peace or inspiration." When we have visitors, we take them to: Han Oak — "A beautiful family-owned spot serving up amazing Korean dishes. Their tasting menu is perfect." As an Emmy Award winning creative director, writer and producer I have worked on content for brands like Disney, BravoTV, TBS, Universal, E! and MTV.